MBDC conducts inspiring, value-added, actionable workshops worldwide on applying the Cradle to Cradle® Design Framework and The Upcycle Chart to business audiences. MBDC also facilitates hands-on design workshops where design teams work in groups to apply the Cradle to Cradle® design principles to real world product designs. The workshops can be tailored to suit your organization’s needs. Corporate environmental and sustainability programs can be mapped using the proprietary Upcycle Chart to help identify additional value-added opportunities. MBDC is available for to speak at conferences, university classes, corporate meetings, or any other public or private events. MBDC can offer its expertise and discuss Cradle to Cradle® principles as applied to design, product certification, business applications, buildings, and more. Fees for services depend on the person speaking and length of time required and includes travel reimbursement. Please contact info@mbdc.com or fill out the form below to make a request. This two-hour introductory workshop is appropriate for those interested in getting a foundation in the Cradle to Cradle principles. The workshop consists of a one-hour presentation followed by a one-hour activity for the participants to apply Cradle to Cradle® thinking. This workshop is designed for the designer. Participants will listen to a presentation and then work through a series of hands-on exercises to apply different aspects of Cradle to Cradle principles to their product designs. This workshop is suited for working professionals who want to apply Cradle to Cradle® principles in their field. The workshop is customizable for different industries (such as architecture and engineering) and will enable participants to understand Cradle to Cradle® and learn how to implement these ideas in their workplaces. Workshops can be customized to your specific interest and audience. Please contact info@mbdc.com or fill out the form below to make a request. In the early 2000’s, following a keynote speech given by William McDonough, MBDC hosted a Cradle to Cradle® workshop for the executives of Steelcase, Inc. Inspired by the concepts presented at these events, Steelcase invited a project manager from MBDC to join Steelcase’s design team on the development of a new chair which would be a technical nutrient – designed to be easily disassembled with common hand tools and able to be returned for remanufacturing and endless reuse. 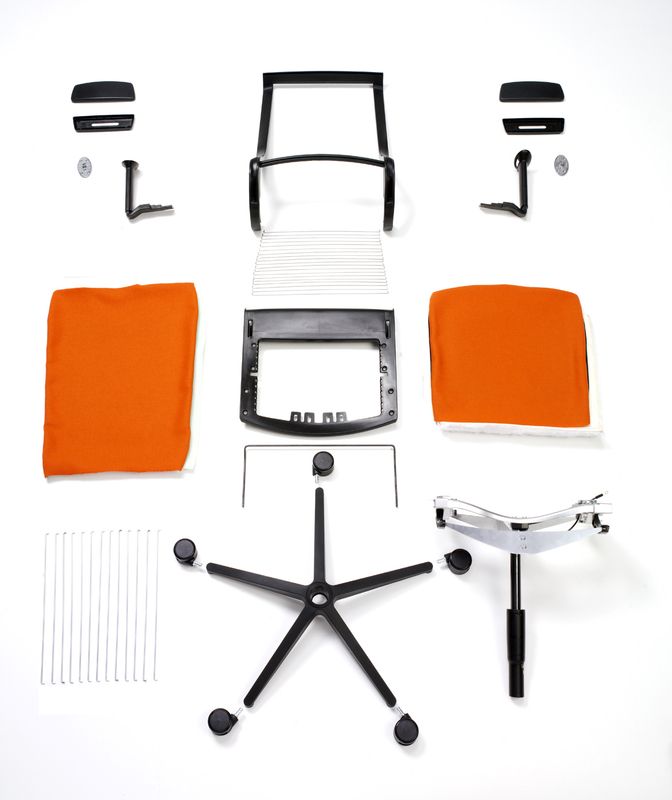 The resulting product was the Think® chair, launched in 2004 as the first product to become Cradle to Cradle CertifiedTM. Think became a global best-seller, and one of the company’s most popular selling products.